Spend as little as three hours per month, or volunteer each week with us. You’ll help fulfill our mission of advancing the understanding of percussion and its role in world cultures through interactive educational experiences. Volunteering at Rhythm! Discovery Center is a great way to help others “find their rhythm.” Volunteers assist staff in enriching the visitor experience by providing valuable learning experiences to visitors, or helping behind-the-scenes. Musical ability or knowledge of percussion is not required to volunteer at Rhythm! as there are many ways to make an impact. By volunteering at Rhythm! you meet new people, interact with cultural and historic percussion instruments, and discover percussion’s influence on the world. Your commitment of time offers further benefits. Receive a 10% discount on purchases in Rhythm!’s gift store. 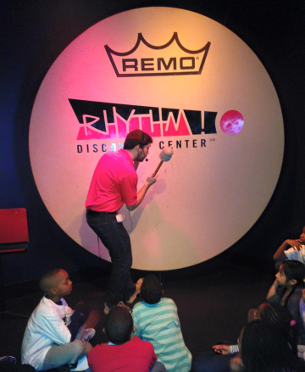 Enjoy complimentary admission to Rhythm! for yourself and members of your immediate family. Receive a free online subscription to Percussive Notes, a magazine published by the Percussive Arts Society. Free admission to the PASIC International Drum & Percussion Expo, and the PASIC Marching Percussion Festival. For more information on volunteering at Rhythm!, please call (317) 275-9030 or email rhythm@pas.org. Walk through Rhythm! and interact with customers by providing information on collection pieces and assisting with instrument demonstrations and interactive stations. To further enhance the visitor experience in Rhythm!, volunteers are educated in the history of the collection. Volunteer duties at the front desk of Rhythm! include welcoming visitors, assisting with museum questions and upkeep, and other administrative office duties. Lead groups through an hour-long facilitated tour of the museum. Duties of the tour include presenting the collection, demonstrating instruments, and leading the group in an interactive drum circle. Tour Guides are provided with a script and itinerary for the tours. Training with Rhythm! staff is required prior to tour facilitation. Musical ability preferred. Assist Museum Registrar and Curator with cataloging object and archival holdings. 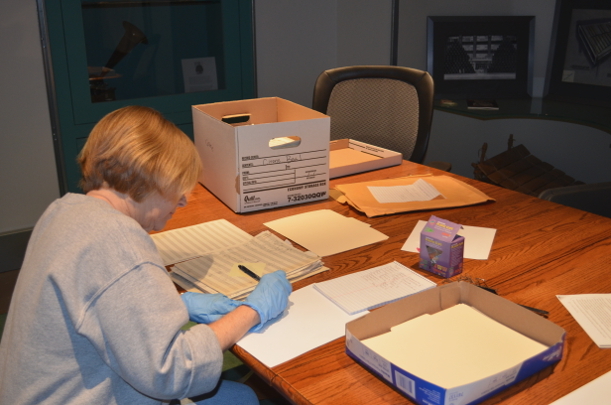 Tasks include working with the museum and library database, organizing objects and archival holdings on shelves, and accepting incoming donations.